We had 9 year old “Georgia” do social studies reading on our trip. 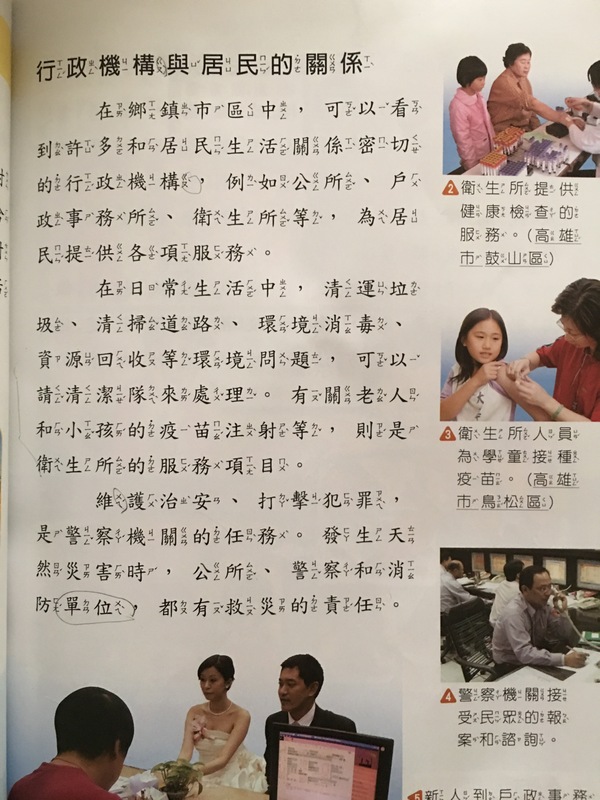 Though it is only a third grade textbook, it is a tough reading for her since there are many new words that we don’t use in our daily conversation here. This is the second time she worked on it. The first time was only for about 10 minutes with with explanation of the reading included. The second time was on New Year’s Eve for about 30 minutes, yes, while on vacation… For me, it is more important to practice reading the passages well than to “cover the materials” and go through the whole textbook, as we don’t have a specific curriculum and timeline for our instructions.